So where is the fourth of the little borders? It’s pressed and already on the quilt top. Once I finished piecing the last of these I couldn’t wait to see how it was going to look. With any luck I’ll have all four of them on the quilt top by the end of the week. Then I’ve got to decide if I’m going to add the final pieced border(s) I originally had planned for the quilt. That’s where the camera becomes a design assistant. Once all four of the little borders are on, a picture will be taken and I can then look at it on the computer screen before I decide whether to add that final pieced border. 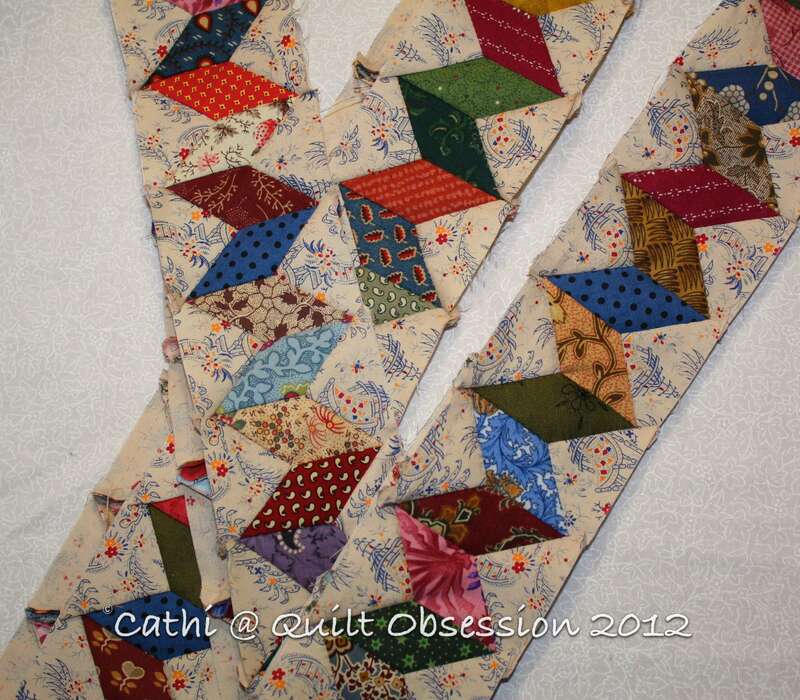 While I’ve already started piecing elements of that final border, it can easily be put away and used in another quilt. Baxter knows how to really relax. He’s a very long kitty and he’s still growing! We’re waiting to see how your star looks with borders! Poor Baxter leads a hard life, I can see. Love the borders! Yes, my camera acts as a design assistant quite frequently! The beauty of digital. Don’t you wish sometimes that we could relax like a cat? What a great idea using your camera for your design assistant! I love the borders. The colors are wonderful. The kitty is not to bad either. I love how they just make their spot anywhere they need to. I’m really looking forward to seeing the borders attached to the centre! Looks like the thought of all that thinking has Baxter completely worn out! I love that zig zag look of your borders, it will really add to the look of your quilt! Great picture of that adventuresome kitty, all worn out! He’s just getting his energy built up for the next run! The end of the Week~ Such suspense~ Anticipating greatness is hard to wait on. 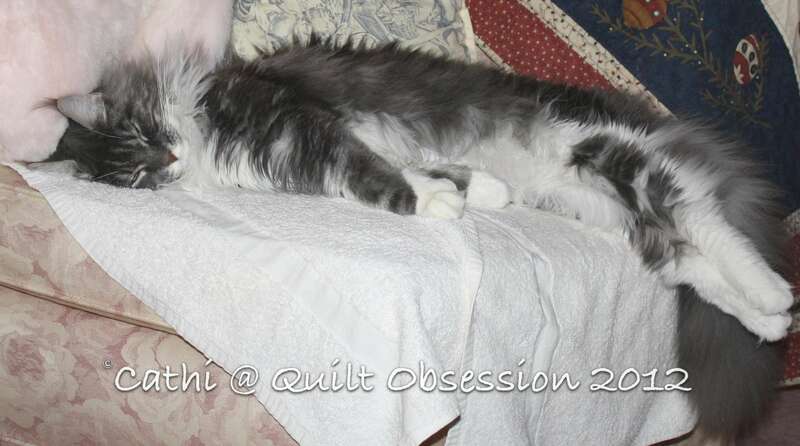 Baxter is long and is going to be large if he fills out that beautiful kitty frame. Great pieced border! Love this photo of Baxter. I would be tempted to wake him up lol. I can’t wait to see this quilt with the borders. I’ve been following the progress. That is one RELAXED kitty…..